Galveston is a beautiful coastal city which is located on the Galveston Island in the Texas which is a state of the United States of America. Galveston is a city which is spread over an area of 46 square miles and is a city which is situated within the Houston Sugar Land Baytown metropolitan city. The city of Galveston in Texas is considered to be one of the best port cities which help in offering the Caribbean Cruise to the most beautiful cities such as New Orleans, Houston, Orlando, Miami, Tampa and also Jacksonville. Galveston is a city which is preferred by most of the tourists as according most of the people, it is one of the most beautiful holiday destinations. The city of Galveston was forenamed after “Bernardo de Galvez Y Madrid”. Basically, the port of Galveston was designed and recognized in the year 1825 by the congress of Mexico. After the creation of the port of Galveston, it became an important port for the Texas Navy during the period of Revolution which was happening in Texas at that point of time. In the 19th Century, Galveston, who’s another name, is the Oleander City became a commercial centre and one of the largest ports on United States of America which helps in export and import of products and services. 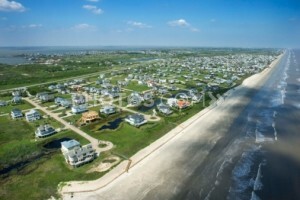 Another memoir of this city is the hurricane that occurred in the year 1900 which completely damaged the entire city. With the increasing time, Galveston managed to gain the recognition back and its modern economy is the hub of health care, shipping, tourism and some other financial institutions. While planning a vacation, one of the most important things which cometo the people’s mind is that where would they stay? So, there is nothing to worry when one is planning a vacation to Galveston, as there are many cheap hotels where one can stay while they are paying a visit to this beautiful city. One of the most affordable and beautiful place to stay while visiting Galveston is the Super 8 Lake Jackson community which is also known as the Brazosport and is preferred by most of the touristsdue to its sandy beaches. There are many other beautiful hotels and resorts where the people can stay while they are visiting the Galveston Texas County. Being a beautiful city, it is preferred by most of the people going on vacations.